Tutti gli studenti possono contattarmi preventivamente via email (paolo.gubitta@unipd.it) o skype (paologubitta) o twitter (paologubitta) o con un messaggio privato su facebook (https://www.facebook.com/paolo.gubitta) per fissare colloqui individuali o di piccolo gruppo su temi specifici legati ai miei insegnamenti. I colloqui si tengono nel mio studio in via del Santo 33 (primo piano) oppure in Sala Colloqui in via Bassi 2 e sono fissati "in funzione" delle richieste specifiche. Oltre a quanto scritto sopra, per i laureandi vale la consueta prassi di definire sessioni ad hoc. This thesis aims to elaborate on the determinants of entreprenership, studyding profiles, processes and outcomes of the entrepreneurial work. In particular, the focus will be on passion and/or competencies. Entrepreneurial passion has been considered a positive driver of entrepreneurial activity, but scant attention has been paid to the difficulties of being an entrepreneur and despite the popular idea that passion is important in the entrepreneurial job, no studies have applied the dualistic model of passion – which sees passion and obsession as two elements of the same construct - to entrepreneurship. Methods: literature review, quantitative analysis and/or face to face interview (or case studies). “We’re really only as good as our organizations” That’s what Mintzberg argues in his book. Organizations are not only made by rules and institutions, but they are especially made of people make. Given the environmental changes in the globalized competition we aim to investigate the following issues: What are the new traits that managers need to be successful in our society? How has their work evoleved? What are the new requirements? In short, this thesis will explore the managerial work applying Henry Mintzberg’snew perspective. Methods: literature review, quantitative analysis and/or face to face interview (or case studies). To be successful entrepreneurs need to learn how to cooperate. Although this is not easy to achieve since sharing with others is usually seen as a considerable expense rather than an investment. The VeNetWork SpA (www.venetwork.it) is an exception rather than a rule. It includes more than 50 successful and active entreprenuers. With this thesis we aim to understand what brought this foundation together and the motives and the profiles of the people involved. Methods: literature review, quantitative analysis and/or face to face interview (or case studies). Economic analysis show an increase in the rate of ethnic entrepreneurs (firms founded by foreign people) and a corresponding decrease in the rate of indigenous entrepreneurs. However, because these communities generally exist on the margins of society, very little research has been undertaken regarding their entrepreneurial experiences and significant opportunities exist within this field for detailed examination. Right now, we cannot ignore this phenomenon since the importance and the power of these firms in the society is raising. This thesis aims to explore the governing and managerial rules of these companies. Methods: literature review, quantitative analysis and/or face to face interview (or case studies). Which are the factors that push people to become entrepreneurs? Why is a new technology-based firm founded? What are the organizational principles that regulate these start-ups? The thesis aims to answer these questions, analyzing processes and strucutres of university spin-offs focusing on the roles of new-ventures entreprenurs (knowledge, newtwork of contacts and competencies) and of the University Industrial Liaison Offices. Laurea e dottorato di ricerca in Economia aziendale alla Ca’ Foscari di Venezia. Sono professore ordinario di Organizzazione aziendale e presidente del corso di laurea in Economia dell’Università di Padova. Insegno Organizzazione aziendale, Family business, Gestione delle risorse umane e Human resource management for international firms. Fino al 2013 sono stato docente di Organization Theory alla Scuola di Dottorato in Economia e Management dell’Università di Padova. Dal 2006 sono docente di Management Skill Development alla University of Michigan Dearborn. Dal 2012, sono membro dell’Academic Advisory Board di General Electric Capital nel progetto di ricerca Mid-Market per l’Europa. Nel 2010, sono stato responsabile nazionale del progetto di ricerca “Le determinanti dell’imprenditorialità”, a cui hanno partecipato le Università di Padova, Udine, Seconda Università di Napoli, Bocconi e LIUC. Sono membro del Comitato Direttivo di StartCube, incubatore universitario dell’Università di Padova e del Comitato di redazione delle riviste Economia e Società Regionale (Angeli) e Sviluppo&Organizzazione (Este). 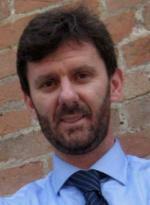 Sono direttore della rivista Microimpresa (Padova University Press). Dal 2014 sono componente del Comitato di selezione del Premio Gaetano Marzotto. Dal 2013 al 2015 sono stato Presidente del Comitato Scientifico del Galileo Festival dell'Innovazione di Padova. Sono direttore scientifico dell’Area Imprenditorialità della Fondazione CUOA, dove nel 2006 ho progettato il MBA Imprenditori (part time). Ho pubblicato articoli su riviste scientifiche nazionali e internazionali (Family Business Review, Cross Cultural Management, International Journal of Entrepreneurship and Innovation Management, Journal of Technology Transfer), libri e capitoli in volumi collettanei nazionali e internazionali. Sono associato all’International Family Enterprise Research Academy e all’European Academy of Management. 2017, Tognazzo, A., Gianecchini, M., & Gubitta, P. (2017). Educational Context and Entrepreneurial Intentions of University Students: An Italian Study. In Entrepreneurship Education: New Perspectives on Entrepreneurship Education (pp. 47-74). Emerald Publishing Limited. 2016, Tognazzo, A., Gubitta, P., & Gianecchini, M. (2016). My Old and My New Family". The Impact of Family Relationships on Students' Entrepreneurial Intentions: An Italian Study. International Review of Entrepreneurship, 14(4). 2016, Tognazzo, A., Gubitta, P., & Favaron, S. D. (2016). Does slack always affect resilience? A study of quasi-medium-sized Italian firms. Entrepreneurship & Regional Development, 28(9-10), 768-790. 2016, Gubitta P., Tognazzo A., Campagnolo D. & Gianecchini M. (2016), “Quasi-successful and Quasi-failing academic spin-offs: The role of technological and commercial alliances. In Fast growing new firms in a slow growth economy: institutional conditions for innovation by Edward Elgar UK, Editors: Visintin F., Pittino D. ISBN 978 1 78536 710 6. 2016, Gubitta, P., Tognazzo, A. & Destro, F. (2016). Signaling in academic ventures: the role of technology transfer offices and university funds. The Journal of Technology Transfer, 41(2), 368-393.